As OCSTA’s new Executive Director, it gives me great pleasure to extend warm greetings and best wishes to all of the Association’s members as we begin the new school year. Having just retired from the role of Superintendent of Human Resources at the Dufferin-Peel CDSB, I look forward to working with OCSTA’s dynamic Board of Directors to act on the priorities of our CDSB members and to move forward the goals of our Association. While we are looking forward to addressing new and important initiatives on your behalf, we have been very busy channeling our efforts into the current labour negotiations process. Regular updates on that process have been provided to all board Chairs for communication to trustees at the local level. As you are aware, the tentative agreement between OCSTA and OECTA that has been agreed to by the Crown has been endorsed by our Labour Relations Committee and is now before CDSBs for ratification. Fall is an important time at OCSTA, as we prepare to travel across the province to meet with trustees at our five Regional Meetings. These meetings happen locally for a reason. They are designed to be an accessible opportunity for trustees to meet locally with their regional peers and with OCSTA’s leadership team for the purpose of highlighting issues and addressing local priorities. Personally, I look forward to the opportunity these meetings will provide for me to meet one on one with many of our members throughout the province. You can learn more about the dates and locations for this year’s Regional Meetings here. While I have only been on board at OCSTA for a little over one month, my orientation has been exceptional and I have OCSTA’s previous Executive Director, Kevin Kobus, to thank for that. 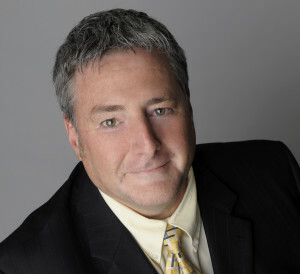 Kevin has kindly agreed to remain on board until September 22 to facilitate the transition and to ensure that various issues and priorities of our members are monitored and addressed. 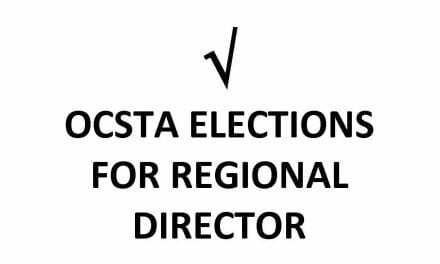 I would also like to express my sincere appreciation to OCSTA president, Kathy Burtnik and the entire board of directors and Association staff for their support as I assume this new provincial role. 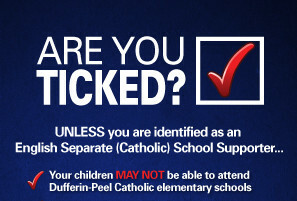 We are blessed to be the guardians and stewards of Ontario’s publicly funded Catholic school system. It is a role that I know each of you consider a vocation. 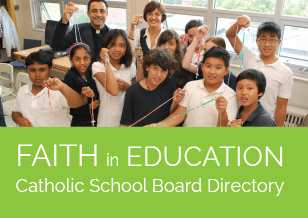 I look forward to supporting all members in this collective effort and to working with our President and Board of Directors to fulfill our Association’s mandate to promote and protect Catholic education in this province. As members are aware, the trustee learning modules developed provincially through the Ontario Education Services Corporation and further enhanced by OCSTA to address the distinctive faith-based needs of Catholic trustees, are available on the OCSTA website within the online learning centre developed by OCSTA for the convenience of our members. These modules will be enhanced for the needs of Catholic trustees, as per previous modules, and will be made available in the OCSTA Good Governance Centre in the coming weeks. Consideration will be made with respect to providing these modules at an upcoming OCSTA event and communicated to members as soon as possible. Regional Meetings 2015 Schedule: for your convenience, the following information is also available in a printer friendly PDF format. WEST – Wednesday, Sep. 23, 10 a.m. – 3 p.m.
NORTH EAST – Saturday, Sep. 26, 10 a.m. – 3 p.m.
held on the evening of Sep. 25 at the Radisson Hotel Sudbury. NORTH WEST – Friday, Oct. 2, 3-9 p.m.
CENTRAL – Wednesday, Oct. 7, 10 a.m. – 3 p.m.
EAST – Wednesday, Oct. 21, 10 a.m. – 3 p.m. If you are unable to attend the meeting in your area you may register for a meeting in another region. Information on submitting entries can be found here. The deadline for submissions is November 6, 2015 at 5:00 p.m.
All information and guidelines for the contest can be found on the Faith in Our Future campaign website. For more information, please contact Sharon McMillan at OCSTA – (416) 932-9460 / smcmillan[at]ocsta.on.ca.